I am sure by now you’ve heard of the new makeup line released by Rihanna. 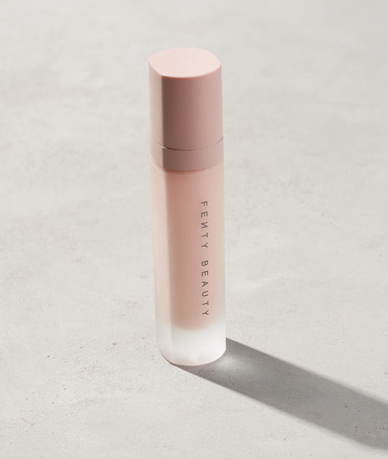 Fenty Beauty has been the release of the decade (in my humble opinion)! Of course, we can’t escape the hype that is @badgalriri. Luckily, for us, she created a whopping 40 shades (something that is absolutely unheard of in the makeup industry) of her ever-popular Pro Filt’r Soft Matte Longer foundation, so we wouldn’t have to, along with a multitude of other products like primer, contour sticks, brushes, highlighters and more. Of course, only Rihanna could’ve pulled off something so BIG and BAD at the same time. Not only is the line well put together, but also is such HIGH quality for a more affordable price. This primer goes on smooth and effortlessly. 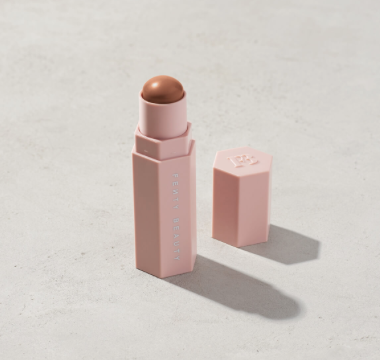 For a mattifying primer, it isn’t too tacky or sticky but almost feels like a moisturizer. I do think that applying the primer before does help with the application of and staying power of the Pro Filt’r foundation. This foundation is LIFE in a bottle. 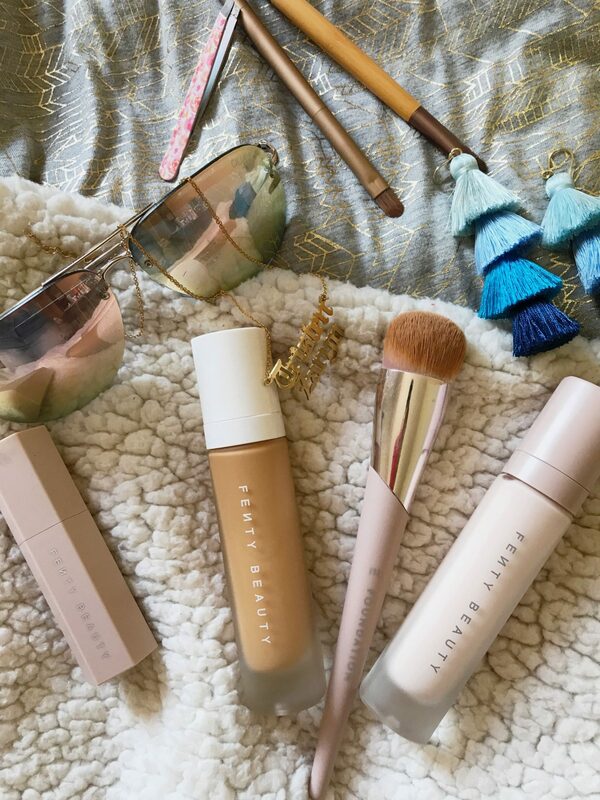 First of all, this foundation goes on seamlessly especially when you apply it using the Fenty foundation brush. What I love most is how natural the finish is, also the coverage is buildable. For medium coverage, just use one pump and for full coverage go in with a second or third pump. Additionally, the foundation oxidizes so it will turn a shade or two darker when applied to the skin. I absolutely love this foundation because of its mattifying effects which does not dry my skin out. 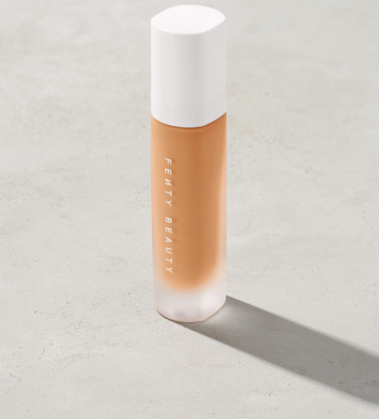 If you have oily/combination skin definitely give this foundation a try even if you have dry skin, try it out but proceed with caution even though I don’t foresee any negative effects by this foundation. The shade range of this product is amazing! I used the foundation in 330, which is a tan shade with warm undertones. But, you shouldn’t have any trouble finding your perfect shade! 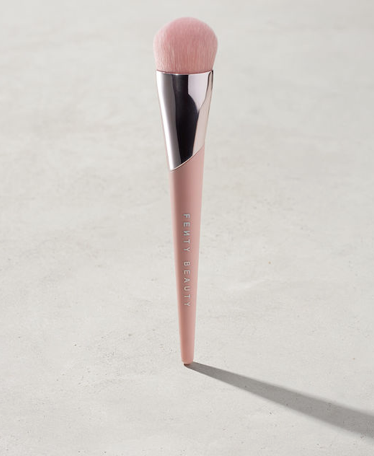 If you want the easiest application of this foundation, I suggest purchasing this brush. It helps with the seamless application of the foundation and if you don’t believe me check out the video down below!! This match stix has become my holy grail for contouring. I got it in the shade truffle which is a rich, deep shade to enhance my cheekbones and anywhere else I see fit. It has such a smooth formula for effortless blending.